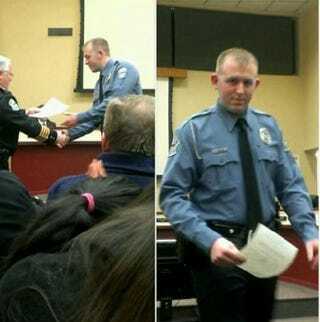 Darren Wilson, the Ferguson, Mo., police officer responsible for the shooting death of 18-year-old Michael Brown, has reportedly testified in front of a grand jury. Following a report from StL Today, Fox 2 Now stated that Wilson spoke to the grand jury for four hours on Tuesday. StL Today reporter Robert Patrick learned of the testimony later Tuesday. “We know he’s talked to St. Louis County police investigators twice, federal investigators once, and the person who told us about this told us that he has been ‘cooperative,’” Patrick told Fox 2 Now. The content of Wilson’s testimony is unknown. According to grand jury rules, Wilson testified without an attorney present, and there is still no word on whether Wilson will be indicted, but the news station reports that the grand jury has started to pick up the pace since being given a January deadline to decide whether to file charges against the officer. St. Louis County Prosecutor Bob McCulloch has said that he will ask the judge to release all grand jury evidence in the event that there is no indictment. The grand jury is now meeting more frequently than its previously scheduled once-a-week meetings, according to Fox 2 Now. Read more at at Fox 2 Now.